It is thought that 70% to 80% of the immune system is in the gut. Needless to say, digestion and gut health are important factors to a person’s health. The microbiome, or microbiota, is a combination of trillions of good and bad bacteria, which play a vital role for digestion and overall health. A balance between good and bad bacteria is necessary to protect against yeast infections, food poisoning strains like Escherichia coli (E. coli), urinary tract infections, irritable bowel syndrome, and skin conditions. Unfortunately, the good bacteria, or probiotics, don’t stay in the gut permanently, and therefore people must get them from food. Most people improve digestive health with probiotic-rich foods like kefir, yogurt, sauerkraut, miso, and kombucha. However, a new study published in the Walter + Eliza Hall- Institute of Medical Research suggests that green leafy vegetables also benefit digestive health by feeding the beneficial bacteria and limiting the bad bacteria colonization in the gut. Researchers from Melbourne and the U.K. have made a new discovery about how a particular sugar molecule in leafy green vegetables feeds bacteria, which can help explain the good bacteria protective abilities in the gut. The researchers were from the Walter and Eliza Hall Institute, the Bio21 Institute, University of Melbourne, and the University of York, U.K. The research team found a previously unknown enzyme that uses fungi, bacteria, and other organisms to feed an unusual sugar molecule called sulfoquinovose, or SQ for short. SQ is produced on a large global scale every year, and it is comparable to the world’s iron ore production. It is created in green leaves during photosynthesis, and the bacteria use SQ as a source of sulfur and carbon. Gut bacteria will use SQ as an energy source. 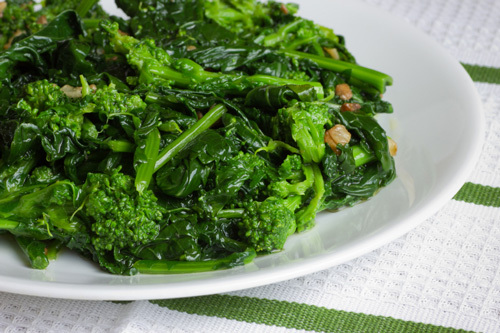 “Every time we eat leafy green vegetables we consume significant amounts of SQ sugars, which are used as an energy source by good gut bacteria,” explained lead researcher Dr. Ethan Goddard-Borger from the Walter and Eliza Hall Institute. Protective strains of E. coli in the gut are thought help prevent the colonization and growth of bacteria since there is more good bacteria taking up space. The research team discovered that SQ fuels the growth of good bacteria by using a newly identified enzyme called YihQ, which is produced by the E. coli bacteria. The enzyme will break down SQ to allow the bacteria the ability to absorb and metabolize the sulfur and other components of the sugar. The study answers a 50-year puzzle about how sulfur is recycled and used by living organisms. “What is remarkable is that the YihQ enzyme was hiding in plain sight and is produced by the humble bacterium E. coli, present in nearly every biologist’s laboratory,” said study author professor Spencer Williams from the University of Melbourne and Bio21 Institute. The new discovery provides potential insight into the development of a new class of antibiotics. Newer antibiotics are needed as more bacteria become resistant to current antibiotic classes. From a holistic approach, protection and treatment of gut health is a four-step process. First, it is necessary to remove reactive foods and toxins that may be stressing the gut, such as processed foods, alcohol, and caffeine. The second step is to replace the stressors with digestive enzymes, bile salts, and hydrochloric acid. The third step is restoring your gut’s bacterial population, and this is where the green leafy vegetables can benefit the gut. Finally, the fourth step is to repair the gut and damaged intestinal lining by using substances like omega-3 fatty acids, L-glutamine, and antioxidants such as zinc, selenium, vitamin A, C, and E.
“Sweet discovery in leafy greens holds key to gut health,” Institute of Medical Research, February 16,2016; http://www.wehi.edu.au/news/sweet-discovery-leafy-greens-holds-key-gut-health. Speciale, G., et al., “YihQ is a sulfoquinovosidase that cleaves sulfoquinovosyl diacylglyceride sulfolipids,” Nature Chemical Biology, 2016; doi: 10.1038/nchembio.2023.